Sometimes it’s difficult for to pin down why I like a particular book. 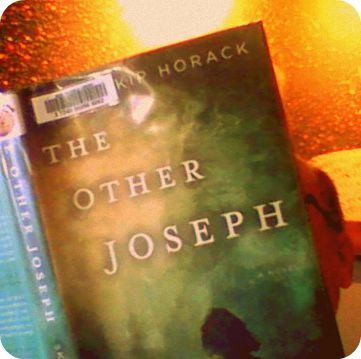 I liked The Other Joseph by Skip Horack, maybe more than it deserves to be liked. I can’t quite figure out how good it is. It’s good, mind you. Probably very good. But I’m not sure I can explain why. I like the main character’s story. Roy Joseph is an outsider, a loner who has failed to function in society, given a chance to turn things around. He reminds me of the heroes in American Heart (played by Jeff Bridges) and The Wrestler (played by Mickey Rourke). Both are excellent movies, by the way. If you haven’t seen them you’ve missed some of the best movie acting ever recorded. In these two movies, like in The Other Joseph, the hero has lost the previous generation of his family, alienated or lost his siblings and failed to connect with his children. All three live on the margins of society, just barely getting by on their own. If you’ve seen American Heart or The Wrestler, then you know that a triumph of the spirit is the best ending to be hoped for in The Other Joseph. Men like these don’t come to outright happy endings in art. The framing story in The Other Joseph tells us how the story ends in the opening pages; so this is no surprise. Clearly, I like stories like this. There’s something about this character type that appeals to me. Towards the end of Roy’s ten-year sentence he gets an email message from a teenage girl who says she might be Tommy Joseph’s daughter. After a few failed attempts to make further contact, Roy sets off for San Francisco, where the girl lives, in the hopes that he can find her and tell her what he knows about his brother, her father. What he’s really doing is trying to recapture a part of his lost brother through meeting this girl and her mother who knew Tommy while he was in basic training near San Diego. Which makes The Other Joseph a little like Norman MacClean’s novella A River Runs Through It and Jim Harrison’s Legends of the Fall, both novels I list as favorites. So there’s that, men looking for lost children and men trying to save or recover lost brothers. It’s still a rare enough thing for me to find a novel that really understands what it is to be and to have a brother. The strange twist to the ending of The Other Joseph is something we know all along so I’m not spoiling anything here. The twist is that while the book is about how Roy tries to recover his lost brother Tommy, the book is “compiled” or “told” by Tommy who wasn’t lost after all, but held captive for well over a decade. Tommy is rescued after the events of The Other Joseph so he never gets a chance to reunite with his younger brother. Tommy uses Roy’s journals to write about his brothers attempt to reconnect with him as a means of reconnecting with Roy. It’s a little difficult to get your head around that, but once you do it adds a greater sense of loss and, in a way, of connection. So, that’s the best I can do, for now, of explaining why I liked The Other Joseph as much as I did. The Other Joseph counts as book number eleven in the 20 Books of Summer reading challenge. It looks like I may even meet this challenge, though I only have three weeks of vacation left.